This 'lamentable and true tragedy', as it is announced on its title page, dramatises a domestic murder of the sort that nowadays scandalises and thrills the readers of tabloid newspapers. Although the title advertises 'the great malice and dissimulation of a wicked woman' and her 'unsatiable desire of filthie lust', the unknown playwright with great dramatic skill and psychological insight manages to balance the motivations of all the main characters. 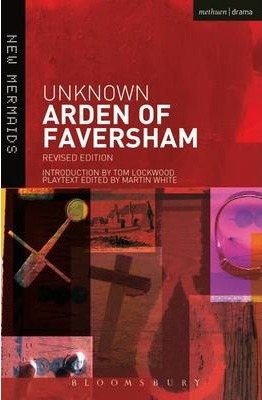 Thomas Arden, one of the rapacious landlords so reviled in mid-Elizabethan social drama, was murdered at his own house in Faversham, Kent, in 1551. His murderers, it turned out, had been hired by his wife Alice, thrall to Mosby, who hoped to rise socially by marrying a rich widow. As the introduction to this edition shows, sexual and material covetousness is the central theme running through the play, which is commonly rated 'unquestionably the best of all Elizabethan domestic tragedies'. Dr Tom Lockwood, Lecturer in English at the University of Birmingham. His article The Sheridans at Work' was awarded The Review of English Studies Essay Prize and his book Ben Jonson in the Romantic Age is published by Oxford University Press.